The event will offer whiskey lovers an opportunity to truly understand the synergy between the arts of blending whiskey and tea. 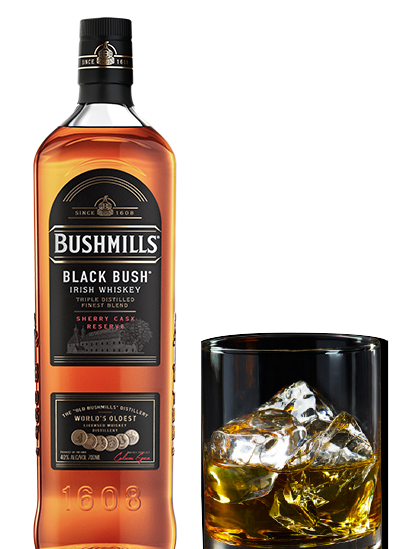 Guests will take part in an educational tasting session on some of Bushmills’ best loved Irish whiskeys, led by the Bushmills Brand Ambassador, before hearing Suki Tea’s story as told by its co-founder, Oscar Woolley. Attendees will then enjoy a tea tasting session and finish the night creating their own personalised tea blends in an interactive masterclass. Specially created Black Bush drinks will be served throughout and each guest will take home a sample of limited edition Black Bush Blend loose leaf tea. Please note that this event is free to attend but is limited to 50 places that will be allocated via ballot selection. To apply for tickets, please complete the registration form below in full (select your preferred date). Applying for tickets does not guarantee you a place. We will contact all successful applicants on or before 26th April. Your personal information will be held by Proximo Spirits and will only be used to send you information about news and events that may interest you. You can opt-out at any time. Proximo Spirits will not share your information with any third party.